Residential areas are catching up on what golf clubs figured out long ago: low-speed electric vehicles (EVs) are handy off the course, too. With a variety of EVs on the market ranging from simple golf carts to decked out EVs, homeowners are finding them useful for local errands, yard maintenance and recreation. In addition, neighborhoods and many master-planned communities (MPCs) are accommodating—and even encouraging—their residents to adopt a more eco-friendly way of getting from A to B. 1. Save money – using an EV instead of turning on and off your family car will save more than mere pennies. 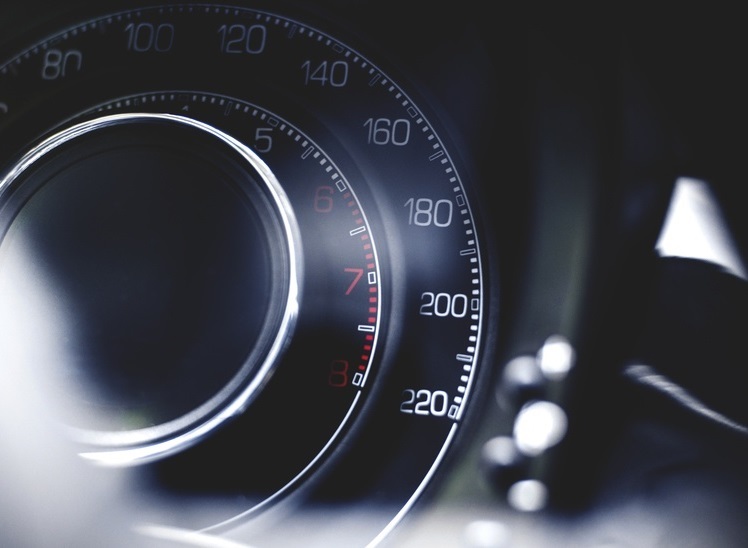 Research shows that owning one costs 64 percent less than owning a regular vehicle. Spend less time wondering how much you’ll be spending at the gas pump each time you go–electric vehicles run on batteries that are rechargeable. 2. Help save the environment – with cars and trucks producing almost 30 percent of the U.S.’s global warming gases, less time in the car makes for a smaller carbon footprint. EVs are emission-free; simply replacing your local errands with an electric vehicle could prevent an average of over 400 grams of CO2 emissions per mile (eliminating almost 4.5 pounds of CO2 in a five-mile trip!). 3. Breathe clean – other than adding to a more abundant amount of fresh air with your vehicle choice, you’ll be able to enjoy it, too. Fresh air has been shown to freshen up your mood and even boost your immune system, so taking rides in your open-air vehicle is good for both the body and soul. 4. Enjoy the quiet – though starting your “engine” in an EV won’t give you that satisfying vroom, it is a good tradeoff to be able to take a peaceful ride through the park. Sneak up on squirrels or simply have a leisurely conversation to the soundtrack of nature. 5. Run errands without wear and tear on your car – many MPCs (master-planned communities) like Nocatee have an extensive EV-friendly trail system that allows residents to easily knock out nearby errands. In just a few minutes (without wasting gas), residents can grab milk at the supermarket, snag a “pick-me-up” from the Dunkin’ Donuts drive-thru and be back home before the kids get home from school. 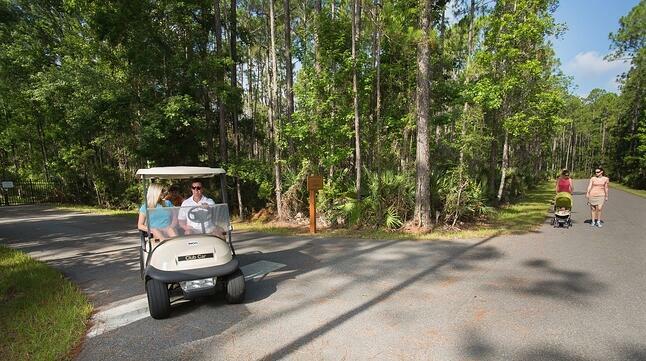 Cost – new golf carts cost around $5,000-7,000, but used ones in good condition can go for as little as $2,500. Higher-end EVs can cost closer to $10,000. Battery – charge your vehicle’s battery after each day of use and always check the charge level before venturing out. Batteries can collect dirt and rust, so regular maintenance and cleaning of your battery is important. Rules of the road – there is no doubt that operating an EV is easy and safe – but where can you drive? Some communities have electric vehicle paths that allow golf carts and the like to share the trails with pedestrians and cyclists. In Nocatee, golf cart drivers must be 16 years old and have a valid drivers license on public streets, and EVs are required to be street legal in most cases. Before hitting the open road at Nocatee, contact the the Nocatee Welcome Center for local regulations and additional requirements. Parking – park in regular spaces or get away with those tight spots that aren’t technically spaces for motor vehicles. Some communities and businesses even have specific parking spots for EVs. Nocatee offers ample “EV-Only” designated parking around the community, including up-close parking spaces at Town Center and Splash Water Park. Rules still apply when it comes to handicap spots, fire hydrants, and emergency vehicle lanes. Just like buying a car, choosing the kind of EV you want for your family depends on size, functionality and speed. Be sure to shop around and make sure the cart you choose suits your lifestyle and budget.